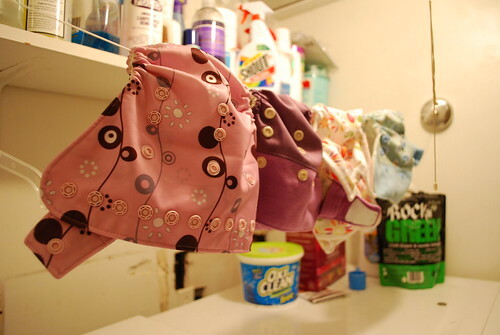 I finally bought a retractable clothesline to hang over my washer and dryer for the diaper covers that have to be air-dried. I used it for the first time tonight, and I really like it! 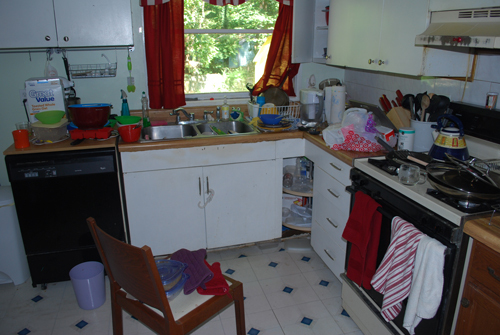 With the discouraging news about our foundation, I haven’t had much motivation to keep our house clean and decorated. I’ve noticed this is a vicious cycle. Because I don’t stay on top of housework, and I feel ashamed of my house. Because I feel ashamed, I get frustrated with the amount of money needed for major repairs. 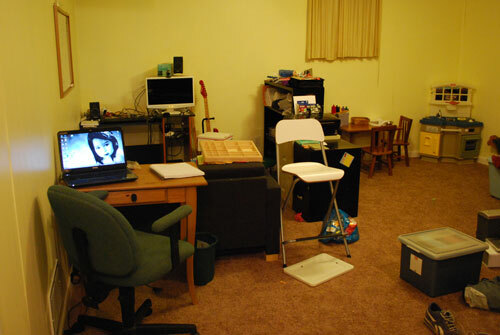 Because I’m frustrated with lack of money, I have no motivation to clean or decorate. And so on and so forth. I know that the best way of stopping the cycle is to stay on top of housework, even when I don’t feel like it. There is a site called Habithacker which I discovered a little while ago. She has daily posts meant to inspire and encourage people to get into the habit of daily housework. All last month, I tuned in daily to the “Days 1-31” for nesting (home management). At first I did well, but fell off the bandwagon shortly thereafter. The one negative thing about having a split level and a baby is the fact that there are two sets of stairs we need to protect. Savannah isn’t climbing up stairs yet, but we did have to go out and buy gates for the top of the stairs. 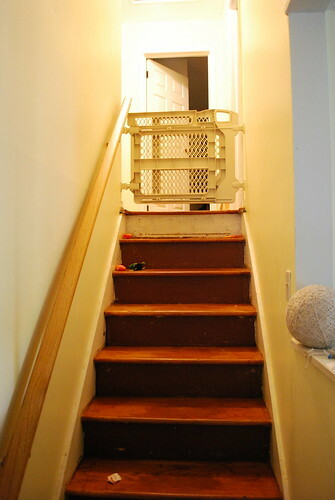 For the top of stairs, it is recommended to have baby gates that mount on the wall (instead of the kind you can step over). After Savannah fell down the stairs and broke her leg, we realized that we needed to take care of it ASAP. 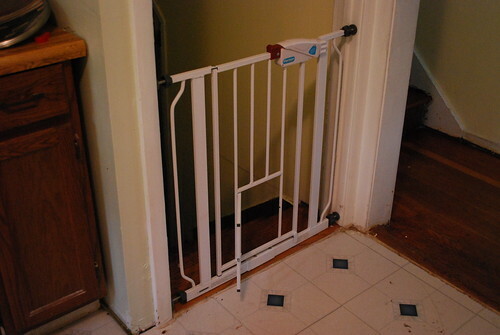 So over the past few weeks we picked up two baby gates for our house.